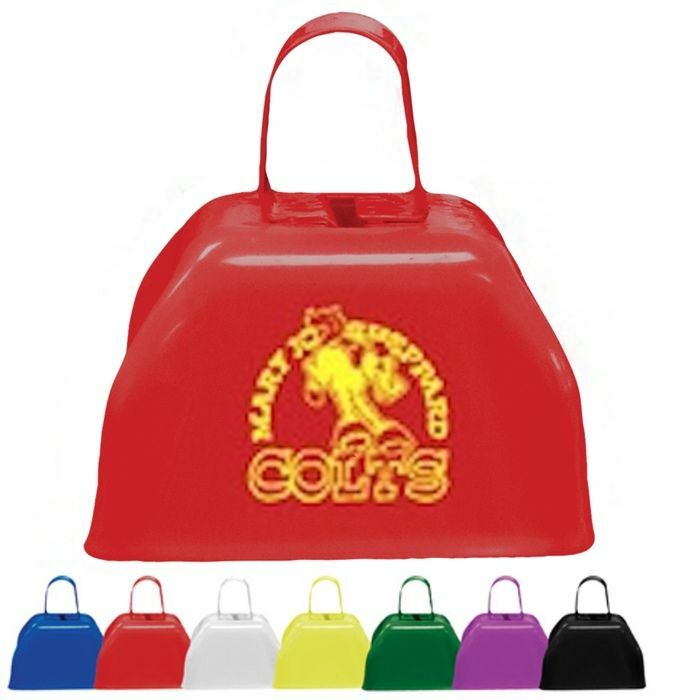 Sturdy metal cowbells create a little noise and excitement at sport events, rallies, weddings, parties and more. Choose from seven cool colors. Production Time 5 business days. 48HR Rush Production - Only $15.00 per 500 pcs (no proofs for rush orders). Production times are usually firm, but may vary depending on production schedules. I've ordered custom cowbells twice. Both times, I was super happy with the product and the service! I needed the second order fast, and the turnaround was even faster than I thought it would be. Cowbells turned out great! Great service - great price - super fast!